Germany manufacturer SHW Werkzeugmaschinen GmbH, from the Swabian, manufacture moving column machine tools. Machinery from the company includes a 200-ton moving column milling machine, the PowerForce 8, which is used to mill wind turbine stators with an internal diameter of 6.5 m. At the heart of the mill is a new, variable, universal milling head of orthogonal design with a drive power of 90 kW and a torque of up to 1,725 Nm. SHW relies on the new “Blue e” generation of cooling devices from Rittal to exploit every possible efficiency potential in enclosure climate control. Consuming 45 per cent less energy than the previous generation, the four wall-mounted devices installed on the machine provide cooling of the input and feedback modules for the axle drive, mains filters, chokes, disconnectors, contactors, relays and have a cooling output amounting to 16 kW. The refrigeration factor of 2.47 (the COP, coefficient of performance) results from the ideal interaction of all the components responsible for the cooling output, as well as from the design of the condensers, evaporators, cooling fins, pipe bends and all the other refrigeration components. Using Rittal cooling technology, SHW have been able to connect the devices via a master-slave arrangement. Another key factor in the increased efficiency is the ideally designed control electronics, which benefit from the new Eco-Mode control system. If continuous operation of the internal fan is not required, shut down is automatic, thus cutting energy costs. Previously SHW had problems with cooling devices from another manufacturer that malfunctioned under extreme conditions, due to the influence of carbon dust. Since changing to ex-proof cooling units from Rittal, they have been running without problems. Rittal’s new Liquid Cooling Package (LCP) Hybrid, with a cooling capacity of up to 20kW per rack, comprises a large, high-performance air/water heat exchanger that cools IT components installed inside the server enclosure. Delivering an energy-efficient IT cooling solution, the LCP Hybrid, with a thermal output of up to 10 kW, is especially suitable for data centres and up to 20 kW for IT racks used in university and auto-industry super-computers. 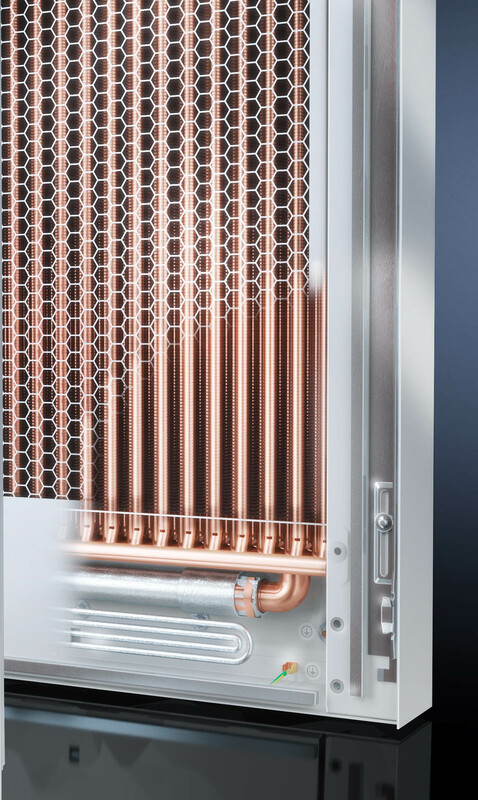 Rittal’s LCP Hybrid does not require a dedicated fan or additional electricity for cooling as the fans integrated into the server direct warm air to the heat exchanger via baffle plates. One of the key innovations is an integrated heat pipe that ensures the entire cooling surface is used to best effect. Air cooled by the heat exchanger is returned to the data centre, ensuring that all racks are cooled reliably. Intake air does not need to be extremely cold, so indirect free cooling can be used for the majority of the year. Chillers are only activated if high ambient temperatures prevent water from being cooled adequately. Rittal has moved the water connection hoses directly onto to the rear door frame, requiring less material and taking up no additional space when the rear door is opened. This saves a great deal of time and effort when planning the piping system. The rear-door solution delivers outstanding energy efficiency, saves space and is easy to install. Available in four sizes for each of two cooling output categories, 10 kW and 20 kW, the LCP Hybrid can be deployed for IT racks up to a height of 2,200 mm, is tailored to the needs of the Rittal TS IT rack system for server and network technology and builds upon the success of the LCP Passive. Kiesling Maschinentechnik, a member of the internationally successful Friedhelm Loh Group, is a specialist for automation solutions in switchgear manufacture. After a five-year development period, the Averex, the world’s first robotic wiring centre is production-ready. But first, two real-world field tests will be conducted in the second half of 2014. On average it takes around 180 seconds to complete this wiring process manually but Averex finishes the same task in approximately 40 seconds. Exceptionally reliable, Averex uses lasers to identify parts and check their dimensions against the assembly tolerances. Automation reduces the number of required working hours by approximately15 per enclosure compared to manual wiring (based on 300 wires). Control software, with routing module, is particularly simple to use, featuring an intuitive graphics-based operator interface and can be integrated conveniently with electronic wiring lists and CAD layout tools. The solution’s stand-out technical feature is its’ patented machine head, which can be rotated by 270 degrees and includes cable routing, cutting, stripping and crimping units, torque-controlled screwing and, pre-punched holes are provided in the reinforcing plate. Efficiency is a top priority in panel building and switchgear design and savings can be made by increasing productivity. Using an engineering solution to draw up electrical plans and documentation, in an essentially automated process, customers can benefit from a fully integrated data workflow. There is also a need for enclosures that are based on a uniform system platform to suit various applications. It is advantageous when switchgear projects (across all industry sectors with very different requirements) can be implemented with one single enclosure system platform. Rittal has “docked” their SE 8 enclosure system to its’ existing TS 8 platform, which now offers the same configuration options as traditional baying systems. Users are no longer forced to fall back on an enclosure system different from baying suites when preferring to use free-standing enclosures as stand-alone solutions. Rittal’s SE 8 enclosures use the same accessories for standalone applications as with the TS 8 bayed enclosures. Another advantage is the expertise available from system manufacturers relating to the planning and installation of the TS 8 system can be directly transferred to the new enclosures. Since the SE 8 and TS 8’s modular systems for interior installation are identical, planning can be started immediately. Decisions an be made at a later stage whether a free-standing or a bayed enclosure is needed. Rittal’s SE 8 is a one piece monobloc, consisting of two side panels and a roof, all made from one piece of sheet steel. This makes handling easier, as there is no need to mount the side panels. The rear panel can be unscrewed for easy access to the enclosure. Cable entry solutions can be employed on the integrated base frame, as in the TS 8 bayed system. Doors and base/plinth of the SE 8 have also been adopted from the TS 8 programme. These design options are interesting for switchgear and control system manufacturers. For instance, the SE 8 free-standing system enclosure now features automatic potential equalisation of the enclosure body with the rear panel and gland plates. Special contact elements, pushed into the surface coating during the assembly procedure, provide a secure and conductive electrical connection. 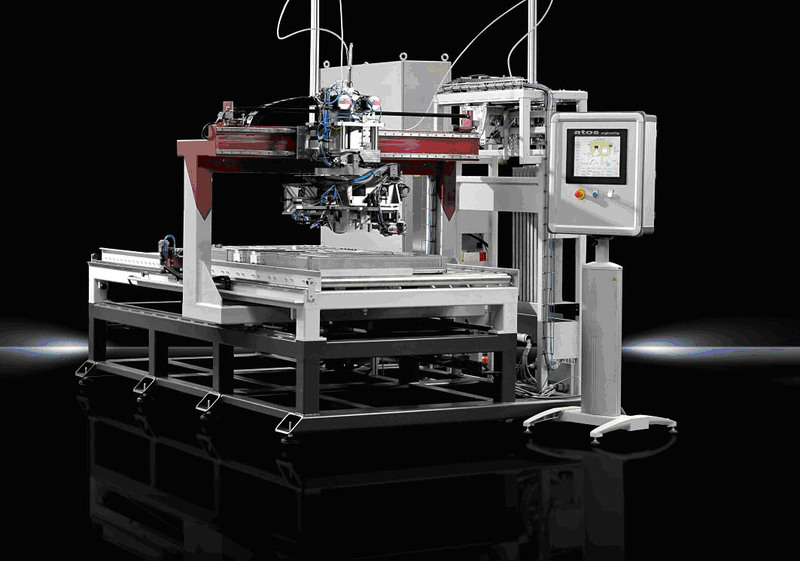 This solution significantly reduces costs and assembly times. Rittal’s SE 8 offers better possibilities for interior installation than its predecessor (the ES 5000) as expansion on two mounting levels is possible. This increases flexibility and provides additional space. The SE 8 offers major potential savings because larger enclosure widths of up to 1800 mm are possible. Free-standing enclosures do not have to use two bayed enclosures. 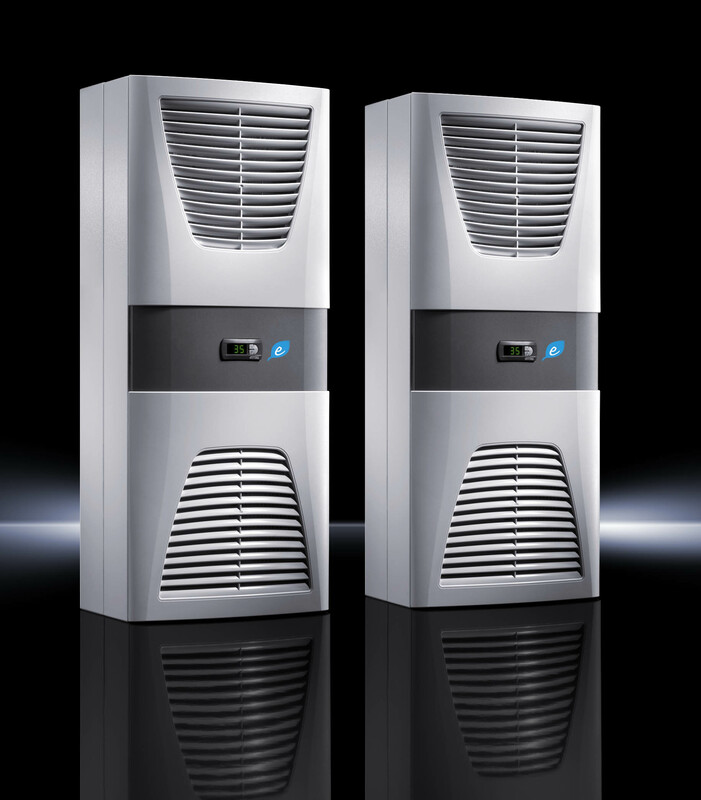 Both Rittal’s TS 8 and the SE 8 share the same climate control platform, from fan and filter unit to chiller, allowing simpler ordering and assembly due to cross-platform common mounting dimensions and output categories. The TS 8 modular climate control concept can be used without any limitations. Economical alternatives with the same technology are possible when there is certainty that a particular unit is not going to be expanded and that a free-standing enclosure is sufficient. Rittal’s SE 8, using the same technology, is a reasonably priced alternative to a baying system. 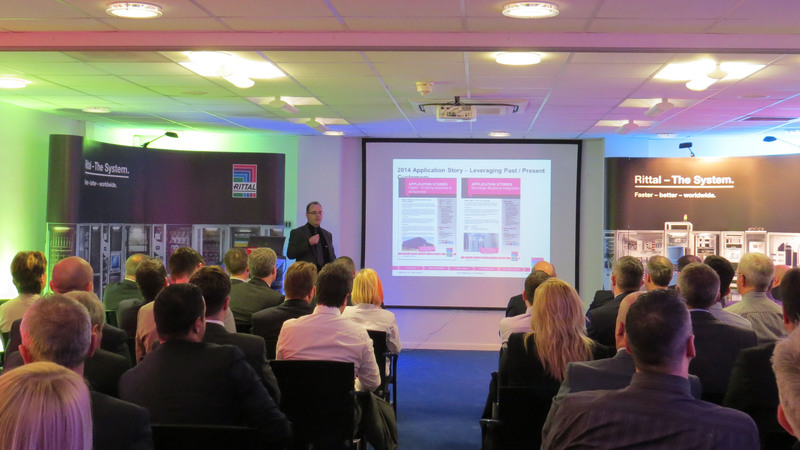 Rittal Ltd has launched three new accredited seminars to support customers in their Continuing Professional Development (CPD). The seminars have been reviewed and assessed by the Chartered Institute of Building Engineers (CIBSE), to ensure the technical content is of a high standard and offers valuable CPD to delegates. All attendees will receive a certificate as evidence of their participation. Covering aspects of complete relocation of a Data Centre, including refurbishment and regeneration, this CPD seminar takes the form of a real life case study of Nottinghamshire County Council (NCC). Connecting 130,000 users across 700 buildings and 60,000 computers the case study looks at how NCC delivered a new state of the art data centre and coping with the perfect brain storm of migration and updating whilst maintaining essential IT services. Aimed at all levels of mechanical engineers, facilities managers, estate managers, electrical engineers and IT managers, this course can be presented at consultant and contractors offices or at Rittal’s specialist Data Centre location in Enfield. Designed to give a brief introduction to the IEC 61439 (the new switchgear and controlgear assembly production standard), this seminar looks at how it should be applied to the design and manufacture of low voltage switchgear and controlgear assemblies. Incorporating four key parts: enclosures, climate control, busbar and the devices, the standard looks at assemblies as a total system and not as individual components and how they react together and perform under test conditions. Aimed at all levels of expertise within engineering departments, courses can be either presented at consultant or contractors offices or at Rittal’s Head Office showroom and demonstration centre in South Yorkshire, Rittal’s offices in Livingston or, alternatively, at Rittal’s production factory in Plymouth. Looking at different strategies that can be implemented and the potential gains and compromises that could occur, this seminar covers a broad spectrum of technologies and processes including Data Networks, Data Centres, Computer Rooms, Heating and Ventilation as well as IT infrastructure and Building Management. Aimed at all levels of mechanical engineers, facilities managers, estates managers, electrical engineers and IT managers, this CPD course can either be presented at consultants and contractors offices or at Rittal’s specialist Data Centre location in Enfield.